Nothing is permanent and Google is no exception. Recently it made some changes to its algorithm that they say will improve how Google ranks websites. 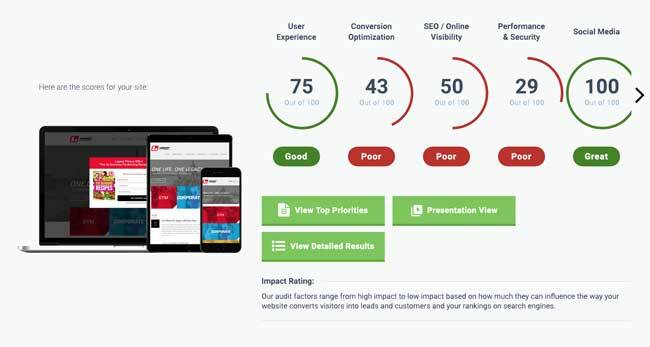 Parts of those changes include timely content of a website, meaning that it reviews and calculates how recently you’ve made changes to your website. They are looking for relevancy in hopes to provide users with the most recent and appropriate website. The other change was how Google+ is ranked and indexed and incorporated into search results using the ‘“Search plus Your World” tag. I am sure you’ve searched and clicked what you thought was a website with great information only to find it was a 3 year old blog post or page. In today’s environment that is ancient. Google recognized this. Businesses now need to concentrate on keeping content up-to-date as well other search engine optimization techniques like meta tags, quality links, and code. Their plan is to feature more fresh results encouraging website owners make an effort and publish and edit their website more regularly. Another change is that Google has started devaluing the value of anchor text within inbound links. Rather than incorporating keyword anchored text SEO professionals now need to focus on stronger calls to action that might get noticed by Google. Click here for an explanation of anchor text. Google will pay attention to websites that have reviews or what we can call ‘Social Signals.’ This means that as your website is mentioned on various social sites like Yelp, Facebook, Twitter, Foursquare, you can expect Google to use social signals as forms of ranking, authority, reputation, etc. These are becoming the new ‘backlinks’ or quality links to your website. Review our blog on Mobile Marketing to learn how you can help with these social signals. If you have noticed yet, your search results should show two buttons on the upper right. The new search features fully integrate Google+ profiles, photos, and other content into Google’s main search. If you are logged into Google, you’ll notice your search results are affected and can change based on what you might have shared before. You can neutralize this effect by clicking the world button. Google will always come up with changes to help users find more relevant content. It intends to deliver the users more up to date results that are relevant and its main consideration is to promote freshness of a website. With this in mind, everyone needs to modify their SEO campaign for acquiring more accurate ranking on Google. Read more about Google Algorithm Changes. Christina Hawkins is the President of GlobalSpex, Inc., an internet marketing company, in the Houston, TX area since 1999. Follow her on Twitter #globalspex or become a Fan on Facebook. If you learned from this article, be sure to invite your colleagues to sign up for the GX Web Wire – An Internet Marketing Newsletter so they can receive similar articles in the future and download her 101 Internet Marketing Tips and Techniques Free!